Did you take the plunge and buy your first RV at one of the RV shows this winter? Are you getting ready to hit the road and head out on your first camping trip? Listed below is a brief, yet important checklist to ensure a great and safe season without any problems. Follow these key tips and start your first season without any issues. If your choice was a larger rig, be sure to plan your trip to avoid traveling roads that have overpasses too low for you to safely clear or twisty roads and streets that are too narrow to comfortably navigate. Plan ahead and research the most favorable route to get to the campground without having to deal with these challenges along the way. It’s also a good idea to book a campground in advance as well. You can easily plan your travels and find campgrounds on RV Trip Wizard. Always take the time to level your RV upon arriving at your destination. This is essential to do, even after the longest of journeys. Not only can it be very uncomfortable when you are trying to relax or sleep inside the RV, but it can cause your unit (especially the refrigerator) to not function properly. Level your RV when you arrive at camp so you don’t have to be concerned with any issues later on. You just enjoyed the weekend camping, and everything is all packed up, put away and ready for the drive home. However, when you shift into drive, your rig doesn’t want to move. Resist the temptation to step on the gas a little harder as it is very likely your wheel chocks (which prevented your rig from rolling away during the weekend) are still in place. If you are lucky, other campers weren’t watching and you can covertly go remove them. Putting chocks away is typically one of the last things you will do before heading out, and it happens more than you think. 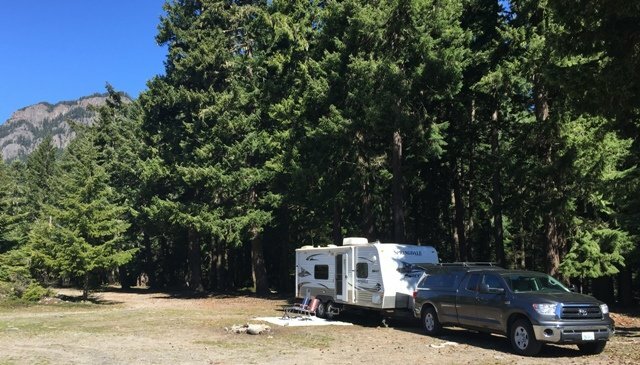 If you have been hooked up to water, sewer, power, or all three while camped, it is obviously important to ensure you are disconnected before departing the campsite with the RV. 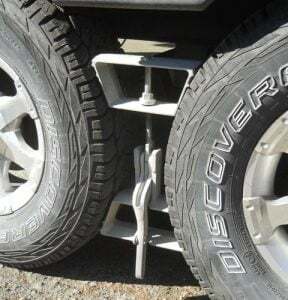 This could prove expensive to your RV or campsite utilities in the process of trying to drive away. Always double check that your RV is free and clear and ready to hit the road before you actually pull out of your campsite. If you make the commitment to buy an RV, then you should make the commitment to set time aside and use it as frequently as possible. Even if you can only escape for short trips, look for fun and interesting places to RV that aren’t too far from home. In Western Washington, where I live, we are blessed with so many places to RV close to home. Ocean beaches, Puget Sound, the Cascades, and Eastern Washington are all within easy reach for a weekend RV getaway. While making mistakes is just human nature, you can avoid them with a little forethought and effort, which can possibly save you from costly repairs or operating your RV in an unsafe manner. Damaging your RV during your first outing is one adventure in RVing nobody needs to experience. I would change #4 to Never Move you Rig without a Walk Around. using a checklist. Both my wife and I do a walk around with the lights and flashers on. Emergency brake cable attached and passing through ball safety pin. This is an excellent list. Thank you for taking the time to write it all down. Might also add:shut off water pump. I neglected to do this once and road vibration caused handles to move,turning on the kitchen faucet which sent water all over the floor and into the heater ducts. !!! Thanks Tom. !!! I never thought of that! What a mess that would be. Save your back and knees: Tape a mirror to a yardstick and use it to check jacks and any other conditions under the vehicle. If you have a roof TV antenna, be sure to lower before moving. You might even use a sticky note to remind you. Attach a sign or some other object to the antenna crank as a reminder. In a motorhome, attach it to the steering wheel. Best one I use, Keys hung on crank. Can’t leave without them. Make sure spouse is on board! As someone waiting for the weather to change so I can take that first trip with my brand new RV, there are so many other things that ran through my mind as needing to be on a checklist for “Before Your First RV Trip” for first time RV’ers. These items are interesting, but the list is woefully short. One thing you can never have enough of is toilet paper. I’ve ran out before and just decided to soil myself rather than using a corn cob. wadding only ends up smearing that mess ..
then there the rest room on the road with the dispenser you practically have to stand on your head to get any …I hate that !!! what gives …. yup a check list is a good thing . i do a walk around with the lights all on. iv left my steps down. we all turned around an said hey look there go’s a dog that looks like Cree. Thank you for admitting your human and know that your not alone! I got a good chuckle out of that !